Peak Engineering PLLC provided the structural analysis and geometric surveys to transport a transformer from Hells Gate in the Bronx to Yonkers, and a subsequent return trip with the failed transformer. Between the two moves it was discovered that one of the bearings on a structure had cracked and a new route for the return trip was necessary. Peak Engineering responded, working with the NYSDOT, NYCDOT and NYSTA to analyze new bridges along a new route. 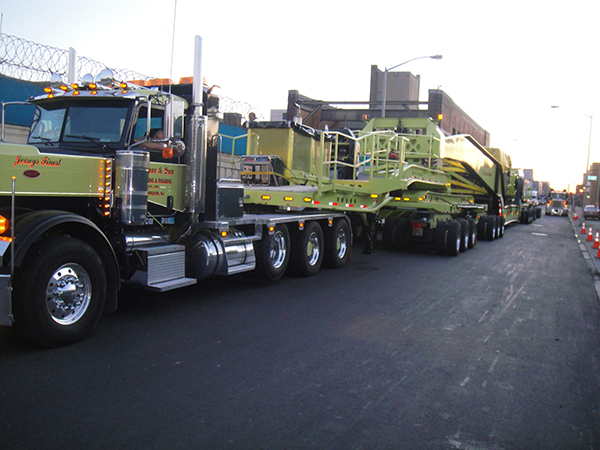 The moves were completed using a 19-axle dual lane trailer. The gross weight of the dual lane transport vehicle was 825,000 pounds and is capable of spreading the axles out to 18 feet to better distribute the load while crossing the structures along the route.